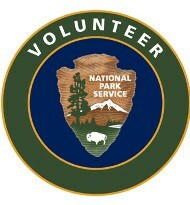 Please complete this form to report service related issues within the park. This may include downed trees, safety issues, maintenance, or other issues within the park. This form should not be used for time sensitive issues, please contact the park office at 678-538-1200. To report non-emergency law enforcement issues please call 404-730-7911. The Date issue was discovered. Please let us know where the issue is located, include marker post numbers or other landmarks. Do you have a second Issue to report at the same park unit?